In a recent victory, Smith Freed Eberhard senior counsel Gordon Klug went above and beyond to protect the interests of his client and secure a judgment against a plaintiff who had tried to pull a fast one. This case started out with a relatively small default judgment already in place against Gordon’s client. It was important to the client for the judgment to be lifted, so Gordon promptly attempted to convince the court to grant his client relief. However, the court required Gordon to personally serve the plaintiff, who had disappeared. Through teamwork and creative problem solving, Gordon and his team were able to locate the plaintiff, determine that he was actively avoiding being served, and convince the court to forgo requiring personal service. Soon thereafter, Gordon convinced the court to lift the default judgment and enter a judgment against Plaintiff for the costs of litigation. Gordon knew that lifting the default judgment was of the utmost importance to his client. To that end, he needed to convince the court to set aside the default judgment through a motion for relief. However, the motion needed to be served on the plaintiff. Unfortunately, Plaintiff was refusing to answer his door while at home and had repeatedly escaped the process server’s attempts. 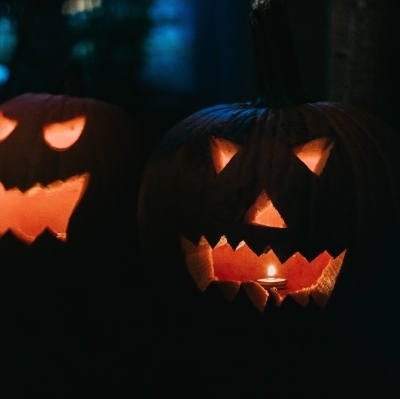 Undeterred, Gordon and his paralegal, Sandy Barbour, came up with “Operation Trick-or-Treat.” With the client’s approval, Gordon paid for Halloween costumes for the process server and her daughter. The plan was to knock on Plaintiff’s door for Halloween, and instead of getting a treat, the process server would trick Plaintiff in the form of service of Gordon’s motion. Displaying his ongoing, serious aversion to service (as well as holiday cheer), Plaintiff refused to answer the door on Halloween. At this point, Gordon believed he had exercised all of his options and presented to the judge to request a waiver of the personal service requirement. After the judge heard about Operation Trick-or-Treat, he was convinced that Gordon had done enough to warrant waiving personal service. Soon thereafter, Gordon’s motion for relief from the default judgment was granted. The default judgment against Gordon’s client was lifted. Further, Gordon identified that the plaintiff had engaged in some questionable behavior in securing the original default judgment. Specifically, Plaintiff had mailed a copy of the summons and complaint to the Florida location of a national insurance agency and then applied for, and was granted, a default judgment only four days after filing. Upon presentation of these facts to the court, Gordon secured a judgment for the full value of his litigation costs against Plaintiff. In addition to a great story, Gordon secured swift justice for his client.